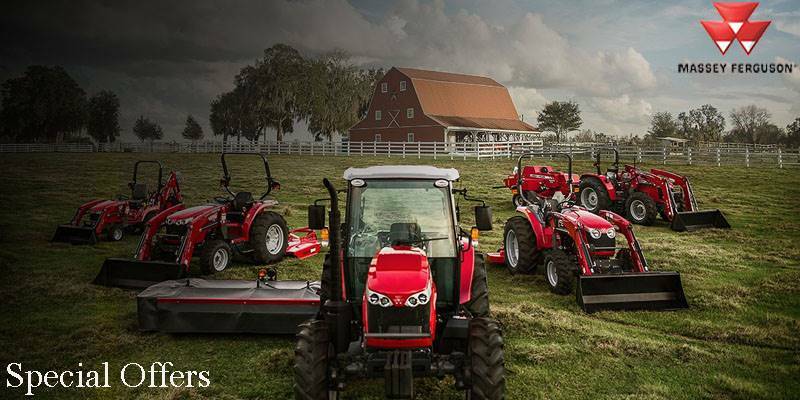 FOR HARDWORKING PEOPLE WHO SIMPLY WANT A HARDWORKING TRACTOR. Nearly 170 years ago, we pioneered the equipment that would ultimately become the famed Massey Ferguson® tractor. Eighty years later, we broke new ground again when Harry Ferguson patented the three-point hitch, still used in various forms on just about every tractor today. And now, all over the planet, there are more Massey Ferguson tractors on the job than any other brand. 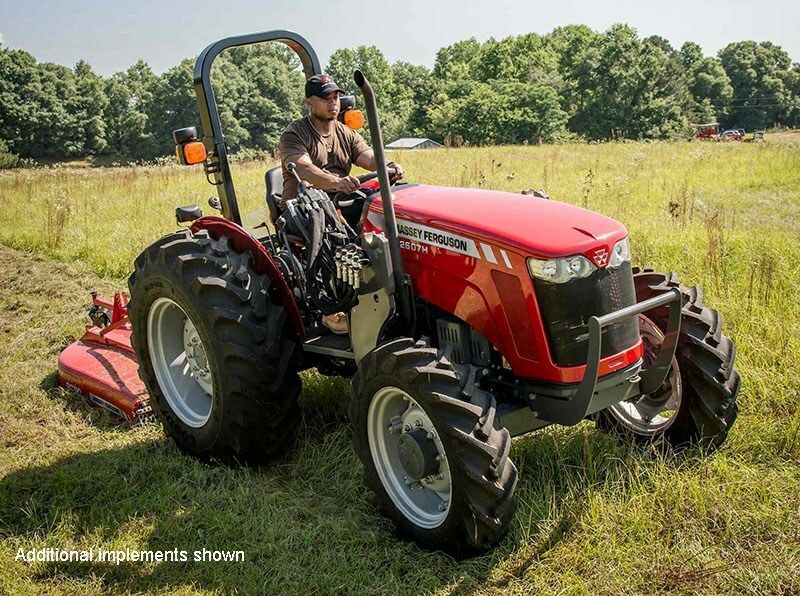 The Massey Ferguson 2600H Series is a rugged new line of tough and dependable utility tractors that brings back the heritage and affordability of classic Massey Ferguson models. Yet these tractors still feature everything you expect in a Massey Ferguson, starting with a simple, open design. Steel hood, fenders and platform for rugged durability. High-capacity hydraulics for loader and implement work. And, of course, the legendary three-point hitch that Massey Ferguson invented so long ago. COMFORT: Even if you don’t need all the bells and whistles, you still want a comfortable ride. The 2600H series delivers. OPERATOR STATION: The simple open platform design makes entering and exiting the station easy, while the reverse rise seat offers more leg room and better visibility. RUBBER FLOOR MATS: The rubber mats decrease vibrations and make for a more comfortable ride. DEBRIS / HEAT SHIELDS: Located on the floor near the operator’s feet, the debris shields provide a cooler and cleaner drive. EASE OF USE: We know you work hard. 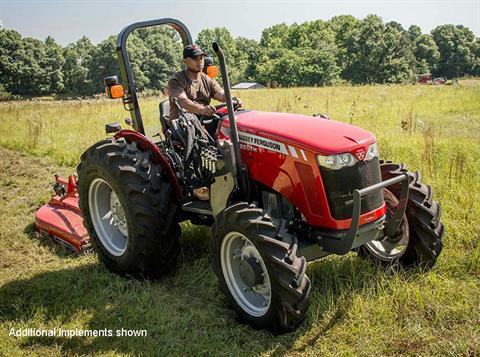 The design of the Massey Ferguson 2600H Series makes everything easier on you. SERVICEABILITY: A simple release hood latch makes preventative maintenance, like checking filters and fluid levels, easy. EASY FUEL FILLING: Ground level fuel tanks provide easy access for filling. VERSATILITY: Whether you’re a full or part-time farmer, landscaper, contractor or just someone who needs to get things done, a 2600H Series tractor is your ideal partner. HYDRAULICS: The high capacity hydraulics make loader and implement work simple. 2WD AND 4WD FRONT AXLE OPTIONS: Offered in both 2- and 4-wheel drive, you have the cost flexibility, as well as versatility in applications to get the job done. TRANSMISSION: The 2600H Series offers 8F x 2R live PTO and 8 x 8 independent PTO shuttle transmissions, depending on model. LOADER: Attaching and changing the bucket is easy on the 2600H Series tractors, so you can move from one job to another without any hassle.